Search Engine Optimization (SEO) refers to the techniques used to improve a website’s search engine rankings. When someone enters a search term in the search box, google will return a list of pages considered the most relevant (and authoritative) with respect to the user’s query. Authority and relevance are evaluated by the google’s algorithm using a myriad of parameters and factors. Such factors include the content a site has published online as well as the type of links it gathered from other websites. Google likes to promote so-called authority sites at the top of its result pages. So if you run a business and you have a website, and if you want to rank high in google, you should create in-depth articles that can become authority pages in your niche. This involves not only writing informative and useful content, but also content that responds to the questions people have about a specific topic. If you keep on publishing such great content, over time Google will pick up authority signals and increase the rankings of your site. But this is only half of the equation. In order to rank at the top of google, a site must also acquire a good quantity of quality backlinks. Such backlinks serve as reference, or votes of confidence for a specific page, indicating that the content of your page is valuable and can be trusted. It is by mastering your content and your backlinks (your on-page and off-page profile), that you can hope to be rewarded with higher rankings in google. The above is just a brief overview, as SEO is a broad and complex field. In a nutshell it can be broken down into two main categories – on-page and off-page optimization. To help you understand the techniques you need to adopt in order to rank well and gain traffic and sales from such increased visibility, read the pointers below. This is the part of SEO covering everything on your site. This part is 100% within your control. It commonly refers to optimizing the pages of your site. You probably heard the expression “content is king”, which has a lot of truth in it. But did you know that your content serves two purposes. It tells your visitor what your business is and what products or service you provide. But it also shows google what your site is about. Because google can understand (to a high degree) the text on your site, they can infer what your website is all about and how good your content is. So the goal of producing content is twofold, as it serves both users and the search engines, and they will each interpret it in their own way. Read below some tips to deploy great content that the search engines will like. Although some black hat techniques can boost your ranking rapidly, most of them are frown upon by google. If caught with unorthodox techniques your site could get penalized and lose all its credibility and the hard work you have poured onto it. There is also a possibility that you will never recover from such sanction imposed on your site. So do not use short-cut methods like article spinning and keyword stuffing. These are outdated techniques that may work for a while but can get you into big trouble later on. Only publish very high quality unique content with real value. This is the safest route. Keywords or key phrases are critical to the google algorithm. It helps it understand what your content is all about via a concept called Latent Semantic Indexing (LSI). Using variability in the terms you employ instead of a small range will give your site a wider clout within your niche and make it more authoritative. Since you know your business better than anyone else, you need to use keyword variations to describe your niche, products or services. Just make sure to stay away from repeating similar phrases as your page may appear to be stuffed with keywords. Google is smart enough to know that “house painter” and “house painting” refer to the same thing. Just pick your keyword variations and naturally insert them into your content. If your content is about your SEO services for Oklahoma City, then do not repeat Oklahoma City SEO all over the page, other terms could be digital marketing, SEM or online marketing for example. For google, the URL, title and headings are crucial pieces of information regarding what a page is about. Any piece of content can only have one title, but it can have multiple headings and subheadings. The most important among these three is the title as it is the one that shows up in the Google search results. It should contain your primary keyword and make it compelling enough to attract visitors by making them click on your link. Then headings and subheadings are there to help your readers see the main points while reading your content. The URL is the most important on-page factor, so make sure to make the best choice with respect to your keywords. You may find that your default page URL is based on the title of your post. Most content management systems like WordPress use your title post as the default page URL. If you find that your post utilizes an alphanumeric URL, make sure to edit this and use your titles instead. This is not just better for your rankings, but it also increases your chances of getting clicked by a user. Your business name, address and contact details should be displayed on every page of your website. The easiest way to set this up is to place the details in the site’s footer. If you operate in multiple locations, you need to have a different page for every address and contact details. It is vital that google knows you have different branches in various places as google searches depend on location (geo-located). To take this concept to another level, you can use a schema markup. It is another concept in SEO that allows you to label your content in a way that google understands best. As markup is a special coding mechanism designed specifically so that google could understand concepts (like an address), not just words. Now that the essentials regarding your website itself are covered, it is time to look at off-page optimization to help you rise in the search results (SERPs). To improve your rankings, you need to work on relevant links, social media presence, and citations. Getting more backlinks will be essential in boosting your rankings. Whenever a reputable site links to one of your pages, it means some trust is transferred to your site, thereby elevating your rank. However some link building strategies can hurt your rankings. There have been numerous strategies years ago that are no longer acceptable today. So you have to be particularly about the way you get backlinks, as this is a double-edged sword. The best way to identify a good link is when it is created naturally. But these types of links take time to acquire, so you may have to take matters into your own hands. One way of doing it is by writing guest posts. Do not waste your time submitting guest posts to unrelated websites though. Only write for sites in your niche. As you build your guest post portfolio, you can begin applying to the more reputable sites with good domain authority. Sites like these are the most powerful when it comes to link juice transfer. When guest posting, you will often be provided an author byline where you can link to your blog and social media accounts at the bottom of the page. Other link building techniques you can use are infographics submission, blog commenting, posting in niche forums and email outreach to influentials. Facebook, Instagram, Twitter, Snapchat, and Pinterest are the raging social channels you must be seen in. These media have engaging users that you can potentially attract to your own business. Therefore it is essential that you claim your brand name on these major sites regardless of the amount of time you spend on it. There are two reasons why you should set up your own account on these channels. First it helps google further identify what your brand is all about. Second having these gives you the opportunity to gain more quality backlinks and visibility. Websites such as Manta, Yell, Foursquare, and Yelp are trusted business directories where you can and should list your site. Often you can also acquire backlinks from citation sites. Signing up for these citations is especially beneficial for helping your site show up in the map listings that are on some local searches. Getting ahead of the competition is not easy. And it will get harder! But if you study and execute the suggestions listed above, you will surely find your site gaining more traffic soon. If you belong to a highly competitive industry, implementing these primary measures will not be enough to propel you further up. This is where proper services from the experts come in to help you out. So give us a call at 020-7261-1848 for a free consultation. Providing informational articles about your niche. This is a short list, and some content could be created for other reasons too, but here we showed the main types. So what does it have to do with SEO? Keep on reading to find out more. Let’s first remember that SEO is the art of bringing organic traffic to your website, and SEO experts focus mainly on two aspects, onsite and offsite, where onsite means your content in particular. As surprising as it may sound to nonspecialists, changing your content even a bit will have a direct effect on your rankings. Below we present some general rules about the style of content a webmaster should publish in order to follow SEO best practices. Your content should be interesting, captivating and informative. One of your goals is that your visitors read your content and stay on your site for a while, so you do not want them to bounce back as soon as they have read a few words of your narrative. 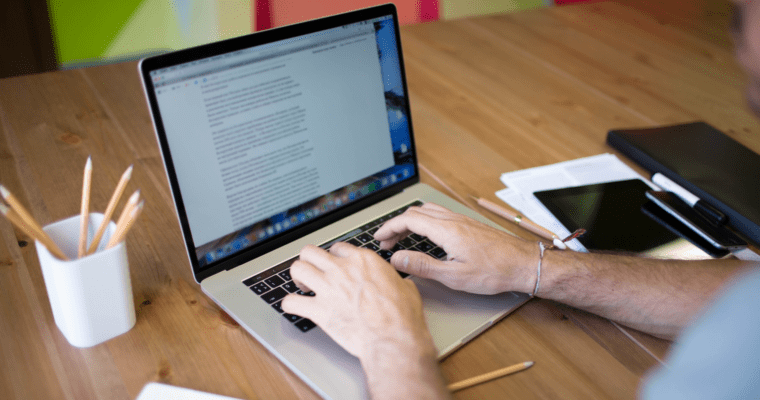 If you are not prepared to spend on hiring a writer, here are some key notes to remember to write a captivating article. Add concrete examples – This technique is often used by good copywriters, adding examples when proving a point will give your article a stronger tone. Avoid writing articles that are purely theoretical. Instead, mention case studies or link your article to a journal article that can further support your theory. You can also consider an example that is somewhat connected to pop culture or the current news to provide a more relevant reference. Be unique – Uniqueness is the way to go in SEO as you want to differentiate yourself from the crowd. Developing a brand and standing out is important when you have aggressive competitors in your niche. Here at comperio we provide custom solutions adapted to each client, this is one of the ways we are so special. Be different – To go one step further, don’t just be unique, be different in style and use a unique form of communication. You can be funny, weird or quirky. Your articles should sound like a person speaking, trying to establish an engaging conversation with your readers. This way you will entice people to leave comments and engage more with your brand, as people relate more to a person than to a company. Write for an audience – If you are targeting a broader audience, stay away from complicated ideas and keep your paragraphs short and on-point. Do not treat your blog as if it was a personal diary, neither an interoffice memo. Make sure to write in digestible concepts. If there is the need to supplement your post with some reference material, link one term in your text to an authority site. Add high-quality photos and videos if needed. Review three times – Finally, be your fiercest critic. Proofread your article more than once and revise if needed to ensure that your message is authoritative and without flaw. This is truer than ever with the recent E.A.T. google update, which stands for Expertise, Authoritativeness and Trust. While keeping the above points in mind, there are additional SEO techniques to be used in order to create content that has a better chance of ranking well in search engine results. Select highly effective keywords – Using tools like Google Trends or Adwords will help you identify the popular key phrases to use. It is best to use long-tail phrases like SEO agency DeveloMark in NY as opposed to short-tail keywords like just SEO. Short-tailed keywords are highly competitive and difficult to rank for. Looking for your target audience’s social platforms is a splendid idea. See what is trending and pay attention to the phrases and terms these people are using. Do not overoptimize the keywords – By putting your main keywords in the title, you have optimized their placement already. Do not over do it. Terms related to your primary keyword should also be interspersed in the URL, meta description, and image alt. As your text is about your keyword, just make sure to sprinkle related terms sporadically in the article as well. Optimize your photos – To be honest, blogs without any visual elements are boring to browse. When you add images, you can help boost your ranking by utilizing the alt-text attribute. This will allow your images to show up in the image searches as well. Today, image-driven and video content is getting more popular, and it is the easiest form of material that can turn viral. Ranking your site or blog at the top of page one results will be a long and difficult task. But one of the first steps is to learn how to generate content that both readers and search engines like. Hopefully you got a few ideas in this regard from reading this post. As a small business owner, do you need SEO? And what is SEO? This article will attempt to answer these questions so you have a clearer idea of what it is all about. And you can decide if it is for you and your business! Search Engine Optimization, also known as SEO, is the activity dedicated to boosting a website’s search engine rankings in order to gain more organic traffic to that site. As the higher and more often you appear in search results, the more traffic you get. And potentially the more customers as well! The top of Google search results shows snippets and links to sites and pages considered authoritative and relevant to the query the user entered in the search box. Authority and relevance are mostly measured by analyzing the content a site has to offer as well as the quality the Web pages linking to it. Google likes to promote authority sites at the top of their results in order to provide a better user experience for the people looking for any kind of information. Hence it is the webmaster’s job to create relevant informative posts related to the topic at hand, that can become authority pages; of course this involves writing useful content. Over time, Google will pick up authority signals and provide a sustainable and robust ranking for a well-optimized site with great content that users love. SEO is a broad topic, but it can be broken down into two main categories: on-page and off-page optimization. To help you understand these techniques, here are some essentials features of each of these aspects. This is a part of SEO that covers everything on your site that is within your control. It commonly refers to optimizing individual pages, in particular the content. You probably know by now that “content is king,” and that it serves two purposes. One, it tells your visitor what your niche is and what products or service you are offering. Two, it shows Google what your site is all about. Here are four important factors to remember when you are building your web content. Although some techniques can boost your rankings immediately, not all of them are acceptable to Google. If you get caught by the google algorithm, your site can get penalized and lose all the credibility and hard work you have poured onto it. There is also the likelihood that you will never recover from the penalty imposed on your site. Examples of things to avoid are article spinning and keyword stuffing. These are outdated techniques that may work for a while but can get you into big trouble later on. Keywords or key phrases are critical to Google. They help the search engines understand what your content is all about. Since you know your business better than anyone else, you need to make use of keyword variation to describe your niche, products or services. Just make sure to stay away from similar phrases as your page may appear to be stuffed with keywords. Google is smart enough to know that “house painter” and “house painting” mean the same thing. Just pick your keyword variations and naturally insert them into your content. A single piece of content can only have one title, but it can have multiple headings and subheadings. The most important among these three is the title as it is the one that shows up in the Google search results. It should contain your primary keyword and make it compelling enough to attract visitors. Headings and subheadings are there to help your readers organize their thoughts while reading your content. You may find that your default page URL is based on the title of your post. Most content management systems like WordPress use your title post as the default page URL. If you find that your post utilizes an alphanumeric URL, make sure to edit it and use your title instead. This is not just better for your rankings, but it also increases the chance of your URL link getting clicked by the user. Your name, address and contact details should be displayed on every page of your website. The easiest way to set this up is to place the details in the footer. If you operate in multiple locations, you need to have a different page for every address and contact details. It is vital that Google knows you have different branches in various places as Google searches nowadays are geo-located. To take this concept to another level, you can use a schema markup. It is another subject in SEO that allows you to label your content in a way that Google knows precisely what it means and what it is for. Now that the essentials about what you need to do on your website are covered, it is time to look at off-page optimization to help your site position well in the SERPs. To improve your rankings, you need to work on relevant links, your social media presence and citations. Backlinks are essential in boosting your rankings. Whenever a reputable site links to one of your pages, some of their link power transfers to your site, thereby help improve your rankings. However, some link building strategies can hurt your rankings. There have been numerous strategies years ago that are no longer acceptable today. The best way to identify a good link is when it is created naturally. But these types of links take time to obtain, so you have to take matters into your own hands. One way of doing it is by writing guest posts. Do not waste your time submitting guest posts to different websites. Only write for sites in your niche. As you build your guest post portfolio, you can begin applying to more reputable sites with good domain authority. Sites like these are the most powerful when it comes to link juice transfers. When guest posting, you will be provided an author byline where you can link your blog and social media accounts at the bottom of the page. Other link building techniques you can use are infographics submission, blog commenting, posting in niche forums and ressource pages. Facebook, Instagram, Twitter, Snapchat, and Pinterest are the raging social channels you want to appear on right now. These channels have engaging users that you can potentially attract to your own business. Therefore, it is essential that you claim your brand name on these major sites regardless of the amount of time you spend on it. There are two reasons why you should set up your own account on these social media. First, it helps Google further identify what your brand is all about. Second, having these signals gives you the opportunity to gain more quality backlinks. Websites such as Manta, Yell, Foursquare, and Yelp are trusted business directories where you can list your site. In some cases, you can also acquire a backlink from them. Signing up for these citation sites is especially beneficial for helping your site show up on the map listings that are on some local searches. Getting ahead of the competition is not easy. But if you study and execute the suggestions listed above, you will surely find your site gaining more traffic sooner than later. If you belong to a highly competitive industry, implementing these primary measures will not be enough to propel you further up. This is where proper services from the experts come in to help you out. 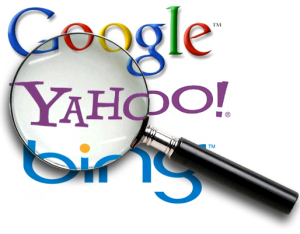 Search engines are one of the most influential tools for retrieving any kind of information nowadays. Shoppers, students, teachers, businesses, artists and the rest of the population with access to the Internet relies on them to provide them answers to their questions in a split second. But should we trust the pages we find on search results? For people not working in the world of Internet marketing, and this is the majority of the population, they may not have any idea how the process of finding information online really works. They directly go to Google’s homepage (or any other search engines like bing, yahoo or yandex to name a few), type their query in the search box, click on one of the results and get spoon fed with information in less than a second. there is a great chance that the results you see merely support a single existing opinion and bolster some preconceived notions about a particular topic, question or controversy. What some people do not know is that Google has never promised to show the most pertinent or 100% accurate answers to every query. Furthermore, they are not mandated to provide the most recent information to their users. That is the reason why you can still find articles from 10 years ago (that may no longer be correct) to this day. As google is not perfect, they may not be aware that some information is out of date. What this search giant promises to its users is to deliver the most relevant results based on the keyword or keyword phrases used. And they do so by using complicated mathematical formulas. For regular users with no knowledge of how the process of searching works under the hood, they may assume search results are always truthful information and take them at face value. Many people believe that the results of the search engines are accurate and unbiased, when in fact a single missing word makes a massive impact on the information shown on the results page. Google is not really in the business of providing correct and accurate results – rather, it is an advertising company that considers its users as the primary commodity of their organization. Of course, some people will disagree with this notion. If you look at it in a marketing perspective and compare search results to a commercial on the television, Google somehow serves the same purpose – to promote the goods and services of paying companies (alongside organic search results) by the use of its algorithmic system. Before you completely dismiss the credibility of the search results of any search engine, you need to understand that they also personalize search results by investigating a user’s online behavior. First, the search engine tracks the queries you have made before in the search engine. It also keeps your click stream data. Second, it monitors your social accounts and reviews the people in your email and reviews your social network channels and other communication tools. Finally, Google also detects your whereabouts (geolocation) to narrow down a search query. That means your personalized results will be a combination coming from your interests, the related groups you belong to and the location where you conducted your search query. But are these three factors enough of a basis to provide the best and most relevant results? 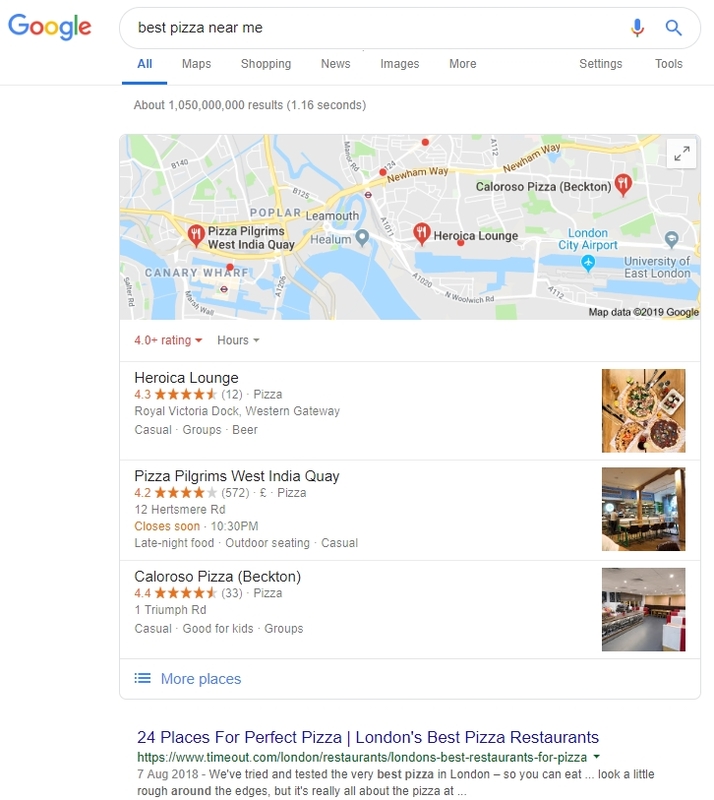 If you think about it, Google can easily and subtly manipulate the results page to favor some paying businesses and advertisers more than others. After all, this massive digital marketing company has no obligation to the person using their free service. So why do people trust search engines then? The truth is, there is no clear-cut answer. Some experts speculate that people trust search engines so much because they present a “good enough” answer for the time being. Many users look for brief and quick explanations, and this is what search engines exactly provide. In the light of the controversy of fake news spreading like wildfire in the world wide web, it is the user’s responsibility to proactively apply critical thinking skills and skepticism to determine whether the information they have gathered is truthful or not. Just because an article shows up on the first page of Google does not mean it is the correct answer to your question. If the search engine has provided an incorrect answer, then you as a user may not be aware that anything was amiss. So pay attention, use common sense, and do not follow any information blindly. It is easier running a business if you can find innovative and effective ways to market your products. It is no secret that in today’s digital age the best and easiest way to attract new customers is by building and expanding your online presence. If you own a business already, you must have asked yourself if creating a blog would be worth your time, money and effort. The short answer is yes, absolutely! Although blogging can take up some of your time, it is a relatively easy and inexpensive way to enhance your marketing efforts, drive more traffic to your online store and establish your brand as an industry leader. According to some statistics produced by Hubspot, 57% of the businesses that added an active blog to their site reported to have gained more customers. In this same study, 81% of companies say that their blog has been a critical part of their revenue growth. What exactly are the benefits of a business blog with respect to marketing and revenue? Every serious business today has an operating website promoting their products or services. But exactly how often are these pages updated? Blogging helps in adding fresh content. It is important to constantly update your website, and blogging is the direct solution to this need. Every time you publish a new blog post, it becomes one more indexed page on your website. The more posts you create, the more pages are indexed, and the more traffic to your site you may get, especially if the posts are diversified and relevant to your business. The more indexed pages you have, the more opportunities to show up in search engine results and drive potential customers to your website. Blogging tells search engines like Google and Bing that your website is not just a floating boat in the world wide web, but an active Internet property offering valuable content to readers. This signals search engines that your site is active and liked, and that they need to check it often for new content. Publishing blog posts and articles regularly can also help you get discovered and stay active in social media channels. Every time you write a compelling article and share it in your social accounts, there is a chance your fans share it as well with their friends, potentially making it go viral. This will expose your products or services to a larger audience that can become your next clients down the line. First, let us define what a lead is. In online marketing, “lead generation” is the initiation of consumer interest or inquiry for the products and services offered by a business. Leads can be generated by techniques like building a mailing list, collecting emails for a newsletter subscription, online PPC ads and SEO campaigns. Just as every new blog post is another opportunity to get noticed by the search engines, a new post is also a bridge for you to generate new leads. That is why you can add some call-to-action in your posts, as your posts not only offer free information to the reader, but also the possibility to enter a business transaction or make a purchase. These calls-to-action are often added to online content as offers for free trial, info webinars, tutorials, e-books, survey or fact sheets. 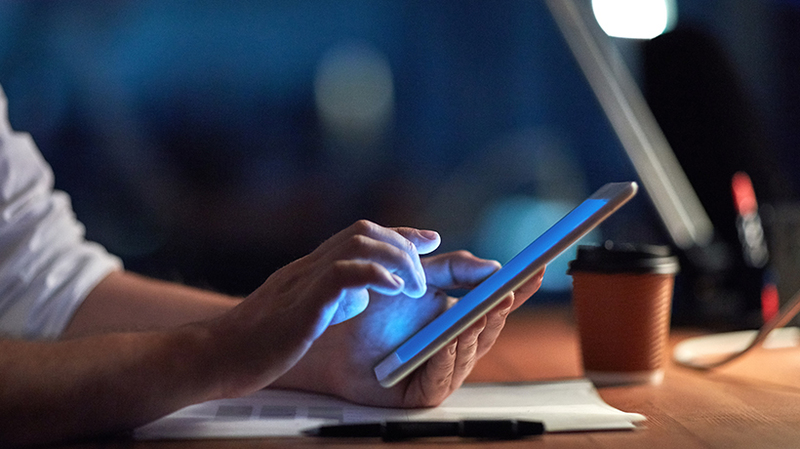 Typically online businesses offer an enticing piece of information in exchange for their readers’ email information, so that they can be added to their emailing list. You can offer a free ebook in exchange for a visitor’s name and email address. You can then use this information for later marketing campaigns, when you have a new product or if you run a promotion. 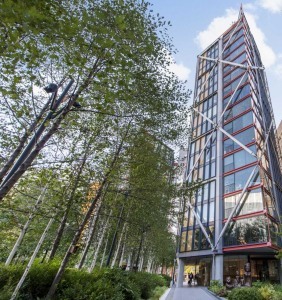 This will certainly raise interest in your emailing list. Posting well written articles that resonate with your audience shows your are an expert in your field. This can demonstrate your business as an industry leader and gain the trust of many consumers. 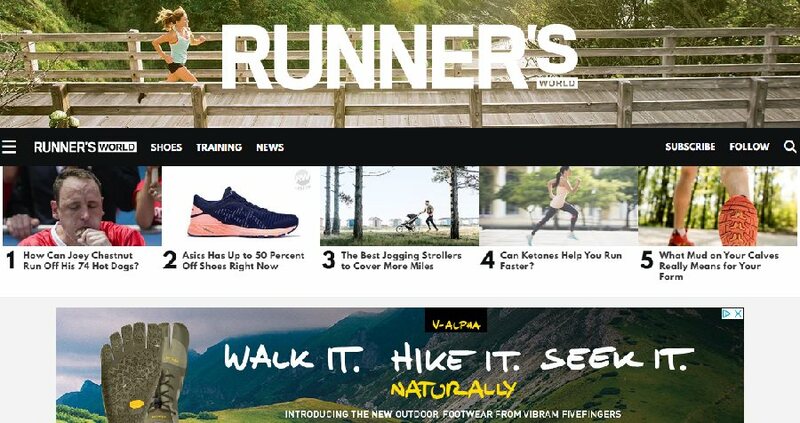 Take runnersworld.com as an example. Runnersworld initially started as a “Distance Running News” site and later morphed into an international publication. And because they had established an active blog posting informative articles under diverse categories, they managed to define themselves as one of the leading information go-tos for running athletes. With the sponsorship they have nowadays, we know this business is very profitable by now, and this is not in small part due to their blogging activity. Blogging is another way for you to improve your relationship with your customers. You can easily update them about promo discounts or anything interesting happening within your company. Consumers like to be informed and will appreciate any informational resource that they can use later on. Additionally your clients can leave their comments and interact with you at a personal level. This makes it convenient for them to inquire about your published information and possibly ask additional questions about your products that you can respond to directly on the blog. In conclusion, building a website is not enough. 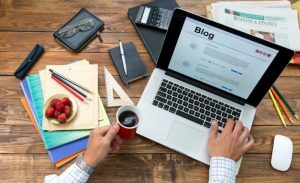 By consistently publishing informative and well written blog posts, you shall establish yourself as an authority in your industry, drive potential customers to your website and develop a stronger consumer-buyer relationship. Hence blogging must be part of your marketing arsenal for a greater success online. SEO is basically a way to increase the number of visitors to your site by making modifications to your site structure and content. When properly executed, SEO can result in a large amount of free highly targeted traffic. If the site in question is a niche site selling a product, the end result will be more sales. Or likewise if the website sells a service or infoproduct. There are a few things that webmasters can do in the optimization process of their website. The following is a simple step by step guide for optimization of your site. The structuring of your site has to allow a search engine spider or bot to follow all the internal and external links at the site. An optimizer must make sure that the coding allows for the site content to appear first. This will make sure that bots place greater importance to the main subject of the site. A business person can do the coding himself, hire a developer or buy an already optimized website template. Be true to your niche – Make sure that your content stays on the topic of the site. If your site is about your restaurant, do not deviate from the food topic. Highly relevant sites get higher rankings on search engines and better reviews by end users. Proper content format – Format your content in such a way that headings and major points are highlighted. Spiders will be able to detect this and will assign a higher quality score to your site. At the same time, the end user will find your site easier to read, prompting more browsing or repeat visits. Don’t worry about keyword density – This is the number of times your keyword appears relative to the total number of words on the entire page. In the past it was recommended for webmasters to have a density between (3-5) percent as higher percentages would cause the site to be flagged as spam or overoptimized. Just be natural – Nowadays search engines algorithms use artificial intelligence and are much advanced in detecting attempts to manipulate them. So focus on providing great content to your readers and do not worry too much about counting keywords on your page. With link baiting, a webmaster develops tools like apps, games, interesting content that generate links to his site. – Using citations, which are directories listing various businesses websites and addresses. Link building is usually the hardest and most time consuming activity in Search Engine Optimization. This will involve creating a Facebook fan page, a twitter account, an Instagram account and many more. This will help you connect with your visitors and potential clients, in getting more traffic and informing your loyal readers of changes to your site or product line. 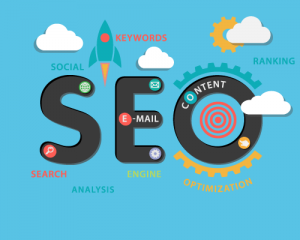 SEO is hard work that can bear much fruit for a webmaster when executed properly and consistently, leading to better google rankings, more traffic to your site and ultimately more sales. We offer consulting solutions not only to small businesses in the UK, but internationally as well with a focus on the English language, so mostly the UK, the US, Canada and Australia. We also help various international companies involved with e-commerce sites, affiliate sites, marketing distribution channels, paid advertising, video marketing and conversion optimization. 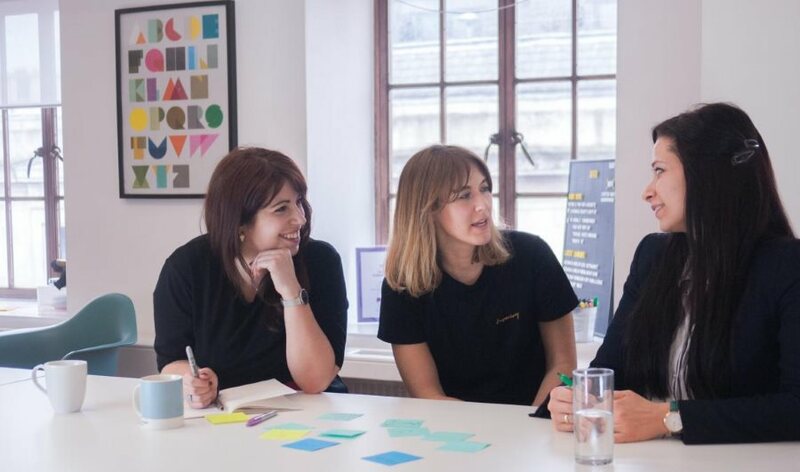 We can accommodate most budgets to design a campaign tailored to your requirements, define target queries and traffic sources, enhance rankings and increase visitors on a consistent time frame while increasing conversion rates and ROI. If you are reading this post, you probably know the difficulty of getting links as an affiliate marketer or business owner. As was recently explained in a webinar about links, there are almost no natural links in 2016. This is the irony of Google’s algorithm which is supposedly based on natural linking. There were some natural links in 1997, but not that many nowadays, thank you Larry and Sergey. So what are the most useful links you should try to get? Some believe there is no such thing as a bad link. The reason is that if such damaging links existed, then your competitors could use them to link to you, hoping for a negative effect on your rankings. If you agree with this theory then the worse that could happen to one of your links is to carry no value at all in the search engines’ eyes. Thus each link category has its pros and cons and some are more valuable or desirable than others. In this post we are going to specifically discuss the benefits of links within guest posts. Blogs are effective tools that can have a tremendous impact on your traffic if you know how to use them. A guest post is a post that you make on another webmaster’s blog. This is a type of exchange, where the webmaster gets content and you get a link. Note that this is a white hat method, assuming it was not paid for. It is a very precious attribute in itself as there are few white hat methods available nowadays, and white hat is the sound route for long-term results. There is always demand for good content, so if you can write or outsource such quality content, you should be able to find webmasters eager to publish it. Some webmasters may ask for a minimal one-time fee to publish your guest post. The justification is that the market value of a link is usually considered higher than the cost of outsourcing a great article. Another practice is when two webmasters swap guest posts among their network, without making a payment. If you pay to make a guest post, is it black hat then? As far as black hat goes, this is the lightest black hat link you will ever see. To our knowledge it is very rare for Google to catch such paid links, unless a webmaster extensively abuses his network by making obvious link sales or by openly advertising such service. Another important attribute of a guest post is that it is permanent. At least it is supposed to be! So if you consider using guest posts, make sure you are dealing with a genuine reliable webmaster who is there for the long term, preferably an expert in his field. Some borderline scammers buy dropped domains with good metrics and repackage them as wordpress blogs, massively selling guest posts. Once it is time to pay for the registration renewal fee, they simply do not renew the domain registration, and your link will vanish. It is usually safer to pay a bit more and get published at a reputable niche blog with good traffic. Even if the owner sells his site at a later time, archived posts are usually kept as such, so the chance is low that your link will be removed in the future. Alternatively you can swap posts with another webmaster in your niche and save money. 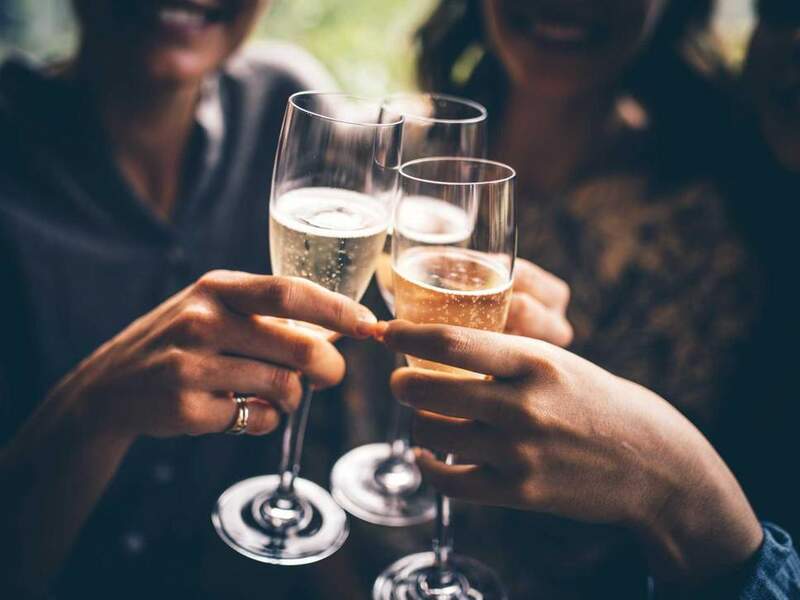 Note that another reason to use guest posting is that by doing so you will develop or improve your own network of friends in your sector of activity. It is important to have such trusted friends as you can help each other in the future. One more advantage of guest posts is that you can choose the exact anchor and URL you want to use. This is not so for all links, so do not miss the opportunity to link to your targeted keyword. Furthermore the link will be within the content itself and not in a footer, sidebar, link page, or site wide. This feature adds value to such a link as Google can detect in-content editorial links. Big G loves them and gives them more weight in their ranking calculation. Also Google usually indexes wordpress blog posts very rapidly, this is another benefit of this type of link. Technically, the goal of making the post is that you get one domain link, one c-class IP link and a well anchored contextual link, all important factors in your link profile. But long-term link juice in itself is not normally to be expected from a guest post. If you publish a quality post at a reputable blog, it may even get republished from the RSS feed, adding more links to your profile. So in conclusion guest posting is absolutely a technique that must be included in your link building arsenal. We have been using it with success for our clients for the past ten years here at comperio.co.uk. Comperio Ltd is a UK based online marketing company dedicated to helping small and medium size businesses shine on the Internet. With 10 years of experience in traffic generation and search engine optimization, we know how to help your business increase its online visibility and sales. Do you want to rank on the first page of google results? Or better at the top of page 1? Then you are at the right place, as this is our specialty. We can multiply your turnover 2,3 times or more with our SEO campaigns. Ask for a free consultation and we can discuss your business needs and goals.